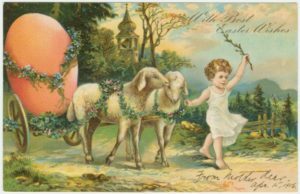 Hello Friends, I hope you are doing well and have enjoyed a lovely Easter. How did March go by so quickly? I didn’t get a chance to write last week because I had several appointments and then I made a very quick trip to Dallas (more on that in a minute) but even though I thought March was not going to be a good reading month, I did manage to finish four books. Yay. There wasn’t a lot of variety in my reading but I really enjoyed my books. I read A Study in Death by Anna Lee Huber, Not That I Could Tell by Jessica Strawser, Hello Stranger by Lisa Kleypas and Too Close to Breathe by Olivia Kiernan. I know I’m sounding like a broken record but I will try to get some mini reviews up soon. Definitely the best part of March though was my trip to Dallas this weekend. My best friends from high school (4 other girls) and I met to celebrate a birthday. This is a big birthday year for all of us and while we’ve all stayed in touch, and some of us talk/see each other regularly, two of them we hadn’t seen in quite a while. This was a surprise celebration for her and when she saw all of us waiting at the table for her she started crying, Actually I am sure we all teared up at different times during our lunch together. We had such a fantastic time reminiscing about our high school days, college, getting married, moving away & back, getting older and all kinds of things. You know how it is when you are with life long friends. I really hope we’ll get a chance to see each other more often and we’ve already talked about future plans so there’s something to look forward to. Now it’s April and you know what that means. National Poetry Month and National Library Week. Definitely lots of fun to look forward to. Here’s wishing you all a fantastic April and more book talk soon! Sounds like a wonderful weekend with your friends. I’m looking forward to your thoughts on Not That I Could Tell. It’s on my tbr, but I’ve heard mixed reviews so I’m wondering if I should reconsider. That sounds like an awesome weekend! Hopefully April holds some more happy surprises for you too. Old friends and “back when” talks are the best! I am glad March is over, but it continues to snow here in April. Sounds like a great Dallas trip with good friends. Yay for National Poetry Month 🙂 Enjoy your week! March did go by awfully fast! What a wonderful time you had with your friends!